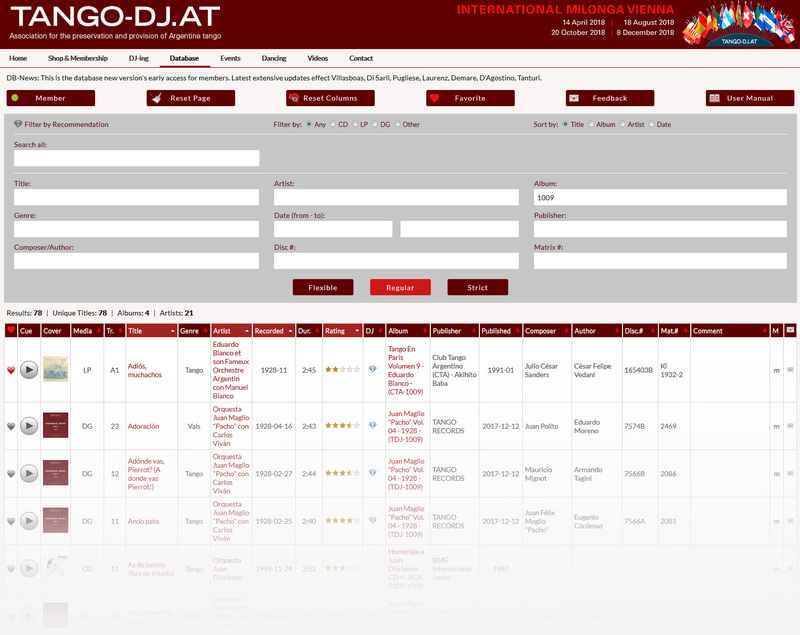 Most of our tango music archive is accessable via our TANGO-DJ.AT tango database. Basic access to this database is for free. If you however want to benefit from all features available, such as extensive sound samples and full cover art scans and extensive additional meta data, please consider subscribing to one of our membership options. You may choose between Database membership if you are most of all interested in just using our database, or the Full Membership if you are interested also in access to digital music itself.